To know how you have to handle this, you have to know the chemistry, you have to know how to handle the substance and when you know the substance, this makes the training much easier. 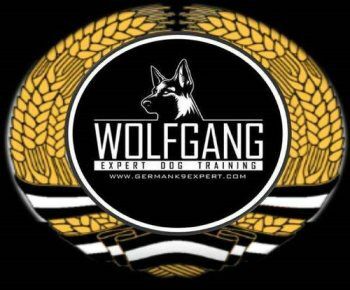 We train our dogs on black powder, Ammonium Nitrate, TNT (Trinitrotoluene), PETN (pentaerythritol tetranitrate), Nitroglycerin, RDX. (Research Development Explosive) and some others. You have to know the substance of each different explosive. For example, the Russian A91 has RDX with a small amount of a paraffin stabilizer added. Pentolite is a mixture of equal proportions of PETN and TNT.. C-4 is comprised of RDX, plastic stabilizers and motor oil. Semtec (Semtex) is a varying blend of PETN and RDX. When you study all of these explosives, then, you filter out what the main smell is that you have to train your dog to find. Now, you have to have the right dog and bring the right training technique together with our K9 explosive detection training. (Trib, Selbstsicherheit, Belastbarkeit) [drive, confidence and very strong in taking pressure]. All three of these criteria must be excellent in the dog I am looking for. Schutzhund trained dogs. With a dog like this, I am starting to play with the tennis ball. I have different techniques that will assist me later on when I start training the dog with explosives. The first time I throw the tennis ball and I let the dog catch the tennis ball. I hold the dog until the tennis ball stops.For a dog it is very easy to catch a moving object. It is more difficult for the dog to locate an item that doesn't move any more and now he has to start searching with his nose. Here I see the quality from the dogs in how intense he searches for his drive target.Later on I throw the tennis ball in different areas like in bushes, in high grass, under a car, in a closet, and other different situations. This way I see the dog takes all this pressure from the environment and goes more focused to find the drive target. and he can catch it. 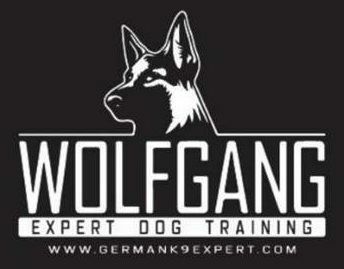 I have here my own technique that makes the dogs very easy and gives the dog a lot of confidence and he has fun. It is very important that I control the dog 100% in his drive and he works only how I want him to work. This is my training technique. For me it is very important the dog have a lot of confidence to go in any crazy situations and places that you can imagine and feel comfortable and focused on his drive target and for this I need real high quality dogs. Please contact us to request an Informational CD!